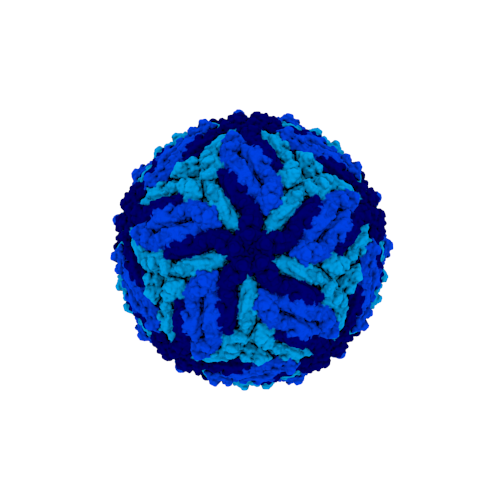 The outer surface (blue) of the Zika virus (magnified 2.5 million times) is made of one type of protein molecule that connects to itself to form 20 equilateral triangles. This strong, simple shell protects the virus and enables infection. 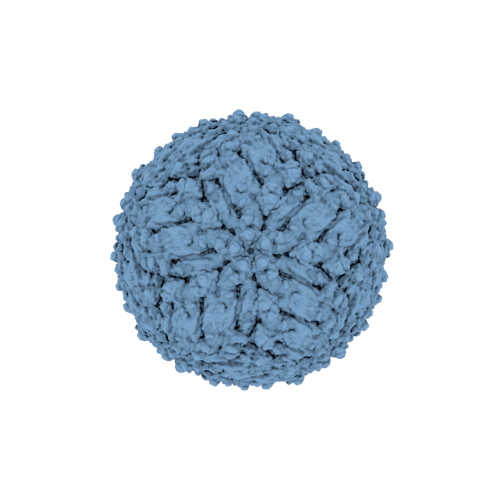 This model was created using CellPACK.